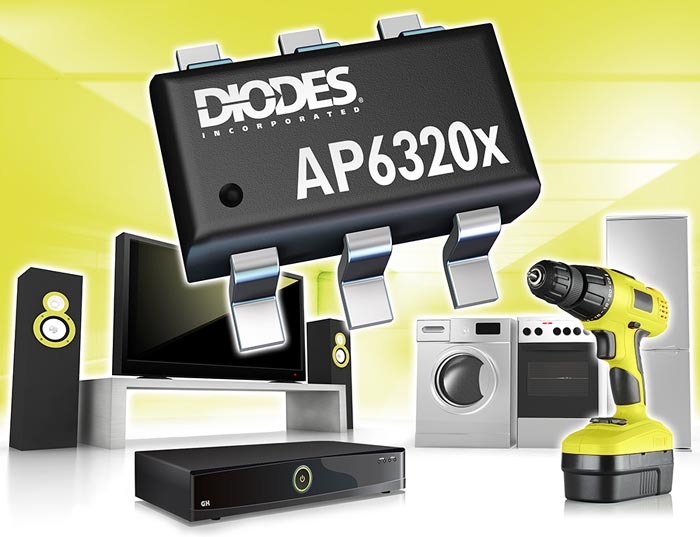 Diodes Incorporated announced the AP63200/AP63201/AP63203/AP63205 2 A synchronous DC-DC buck converters, delivering class-leading EMI performance across a range of input and output voltages. These devices are well-suited for a number of applications, including home appliances and industrial electronics, as well as telecommunications, power tools, office equipment and consumer products such as TVs and STBs. The fully integrated devices feature high-side and low-side MOSFETs with very low on-resistance, RDS(ON), complemented by Diodes’ proprietary gate driver technology and compensation network. By employing pulse frequency modulation (PFM), the AP63200/AP63201/AP63203/AP63205 deliver excellent efficiencies of up to 88% under light-load conditions (5 mA output current), and a quiescent current as low as 22 µA. The wide input voltage range of between 3.8 V to 32 V supports a variable output voltage of between 0.8 V to VIN (AP63200/AP63201), or fixed output voltages of 3.3 V (AP63203) or 5 V (AP63205). All devices can deliver a maximum continuous output current of 2 A. The AP63200/AP63201 devices can also operate as an LDO regulator by employing a duty cycle of 100%, providing a stable output voltage to within 1% of an unregulated input voltage. All of the devices have been designed to withstand input voltage surges of up to 40 V for 400 ms.